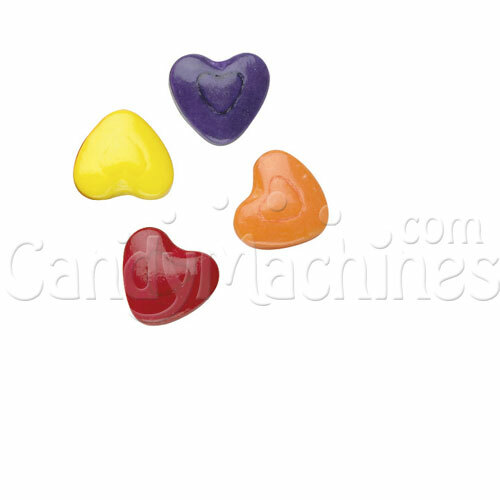 Great for giving to your Valentine any day of the year, these sugary pressed candies are made for vending in candy machines. 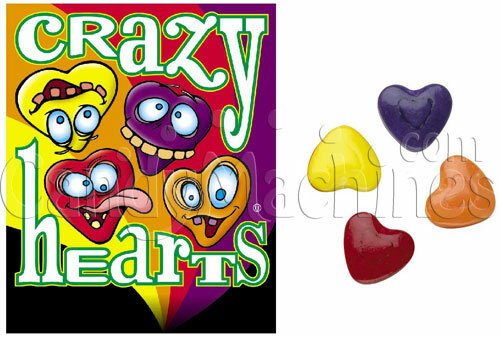 Their brightly colored coats have an eye catching appeal and their attractive colors will instantly attract attention in any candy vending machine that they are placed in. 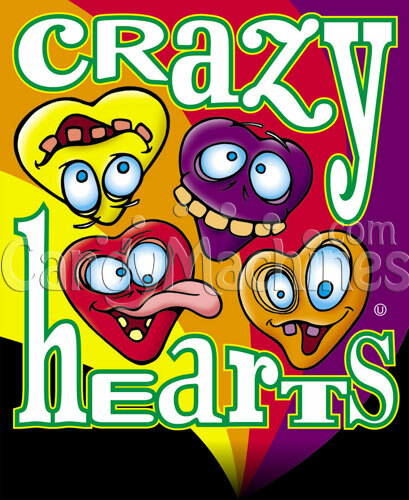 They are smooth, shaped like hearts, and have small hearts indented on them. This mix includes Banana (Yellow), Orange (Orange), Cherry (Red), and Grape (Purple). Need a machine to vend these sweet hearts? Be sure to see our full line of candy vending machines. Made by Oak Leaf, this bulk vending candy is OU Kosher Certified. The candies typically vend for 25 cents in commercial vending machines that have an adjustable candy dispensing wheel which controls the number of pieces that vend per quarter. They will also dispense in our candy banks and dispensers. Candy is best stored in a cool, dry, low humidity location. Their shelf life can be up to 18 months if not exposed to extreme hot or cold temperatures.